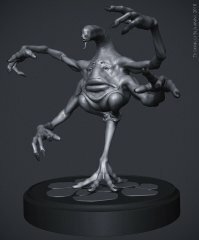 I’ve been working on this creature for a contest of an italian forum (treddi.com) involving the sculpting of a fantasy creature. 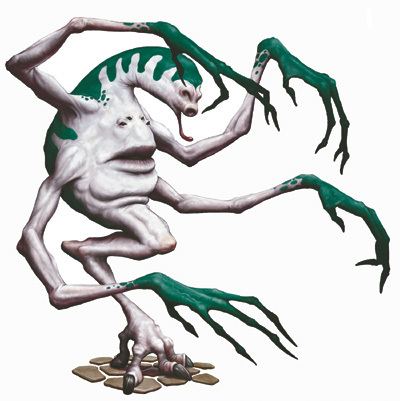 I choose a creature from the “Monster Manual 3.5″ of Dangeons & Dragons, it’s called “Ethereal Filcher”. You can find the original concept here. 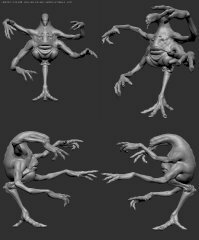 Because I didn’t like the leg I asked to Mike Corriero if he could help me out to find a better solution to the one legged creature. He was so kind to send me a rough sketch of his interpretation involving a split hip joint leading to one limb. I like so much his version that I finally choose his one for the final creature. I think that Mike’s solution give a better solidity to this poorly balanced creature. 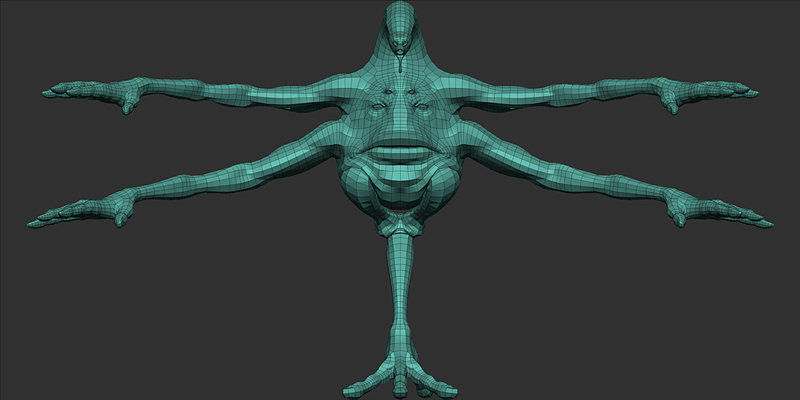 I then start creating the base mesh in Silo and once finished I exported it to Zbrush and started sculpting. 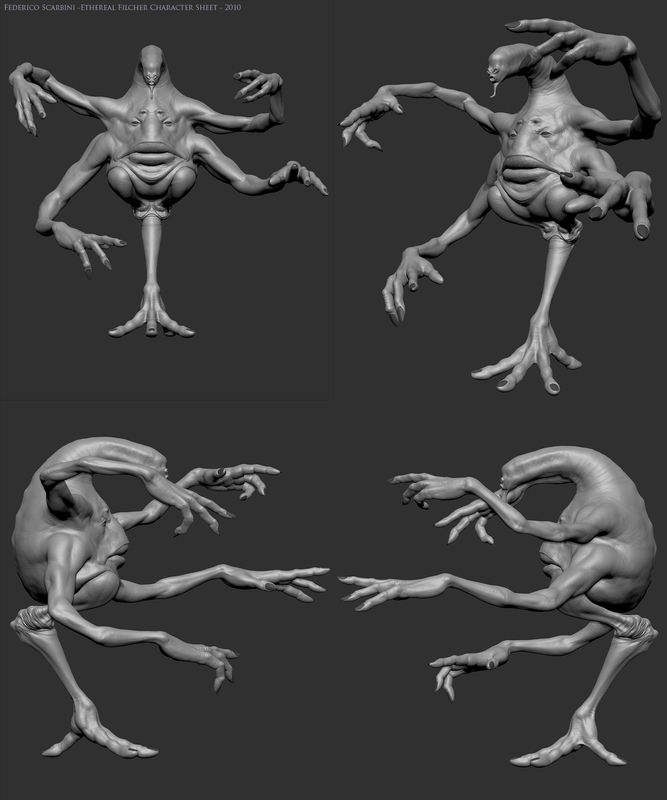 The contest itself is just about sculpting so right now I’m done with it, but I like so much how this weird creature has come out that I want to texture it and do for it a still image. So in the next days I will be working on its textures.